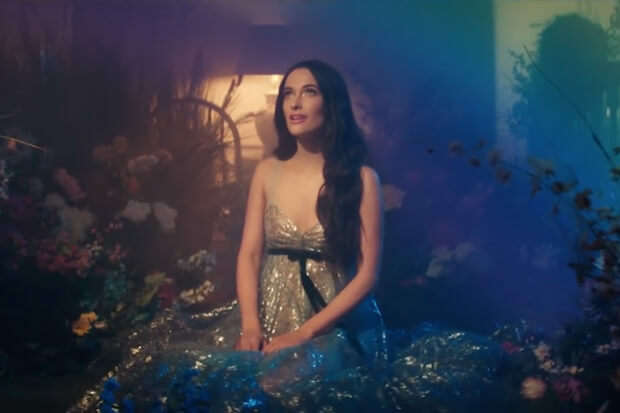 Kacey Musgraves emerged as one of the biggest winners at the Grammys last night. The 30-year-old took home awards in all four categories she was nominated in. That included one of the year’s highest honors – Album Of The Year. She also took the stage for two glorious performances. The “High Horse” hitmaker joined in on Dolly Parton’s excellent tribute and delivered a beautiful rendition of current single “Rainbow.” The Golden Hour ballad emerged as a quiet but evocative highlight as she delivered the optimistic anthem in front of brightly shining lights. And that was not the end of her winning streak. After the ceremony ended, she dropped a video in support of the track. During a red carpet interview with Ryan Seacrest, she offered some insight into the release. “I made this video with Hannah Luxe Davis. I loved working with her. First of all, she’s a woman director. She’s powerful and creative,” she gushed. The country-pop princess opened up about what the song meant to her. “The song started out as a memo to myself but it’s for anyone who is going through any kind of anything.” She also explained the concept of the video: “The video is representative of your own mental guard overtaking you.” In it, she watches over a group of people struggling with challenges in life. However, there is an optimistic end as they each are able to find a moment of peace. Check out Kacey’s powerful video below! Do you love the video? Let us know below, or by hitting us up on Facebook and Twitter!